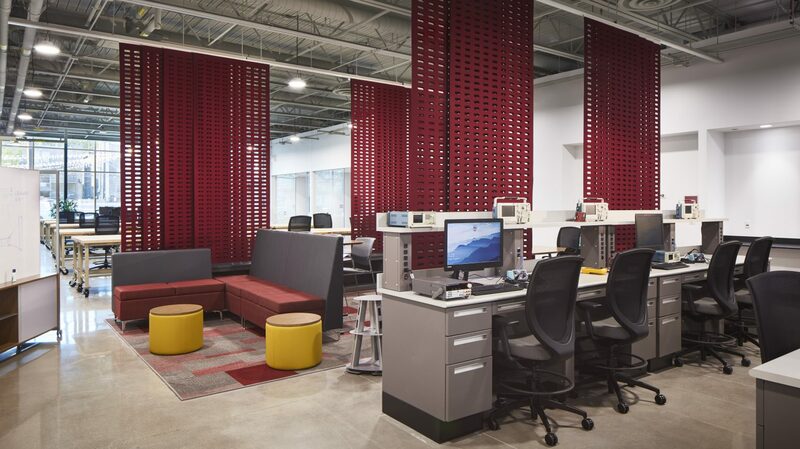 Skender, serving as base building and interior construction manager, has completed the construction of Loyola University Chicago’s new 10,000-square-foot engineering science flex laboratory located near the intersection of North Broadway and Sheridan Road. 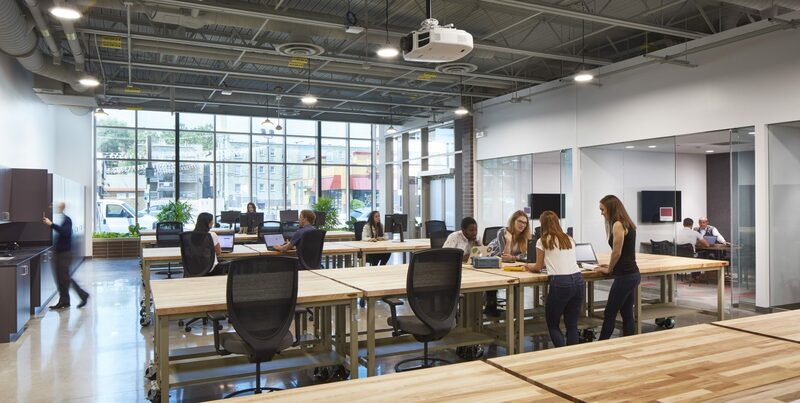 The mission of the new single-story building is to provide open space, movable furniture and equipment, and a collaborative environment for the university’s engineering science program and its active learning framework. This experimentation hub not only provides engineering and other STEM students with opportunities to invent, investigate and create, but also allows the public to observe and join the community through the front of the building’s large glass façade. Designed to put engineering on display and provide natural light, the glass façade utilizes electrochromic technology, a form of Smart Glass that changes with daylight using sensors that monitor the sunlight’s intensity on the façade. The glass becomes less transparent as the sun sets, reducing solar heat gain and glare. 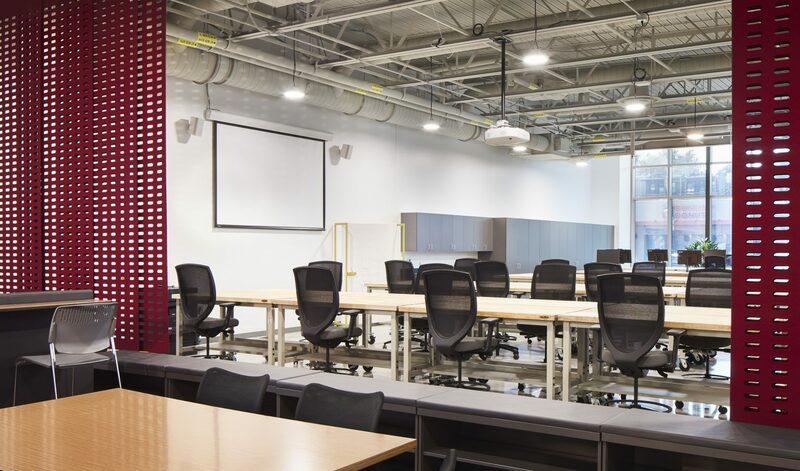 Skender collaborated with SmithGroup, Elara Engineering and Thornton Tomasetti to successfully complete this unprecedented, tech-forward facility for Loyola.